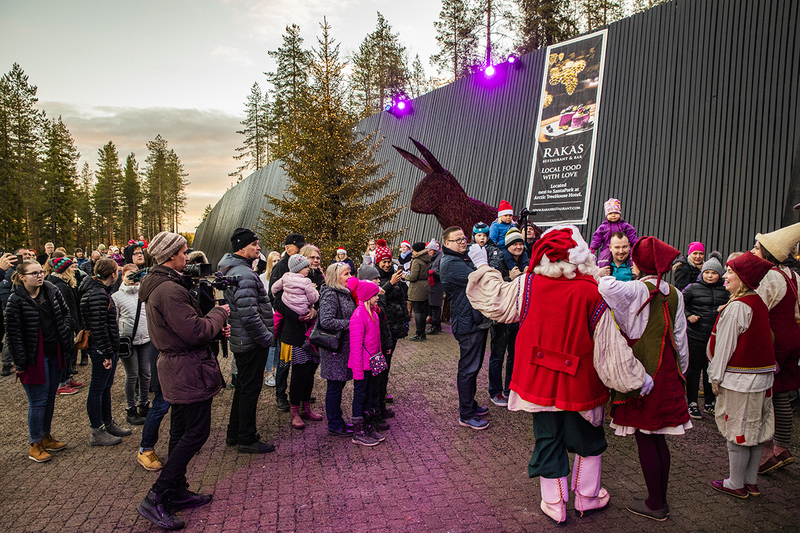 Official Santa Claus of Finland comes from Lapland, on the magical line of the Arctic Circle, to which hundreds of thousands of people travel each year to meet the great man in person. When Santa Claus got ProSanta as its helper, the rest of the world was also given the chance to invite Santa Claus to make corporate, customer and Christmas events into fairy-tale events. The headquarters for Santa’s helpers is located in Santa’s neighbourhood, allowing Santa and his elf entourage to easily go to where they are needed. Upon arrival, he brings with him a touch of Lappish magic. He hosts events with the utmost certainty, like a true professional performer, enjoys being among crowds of people and charms children and adults alike with his authenticity. Official Santa Claus of Finland has travelled to numerous events all over the world commissioned by organisations such as the Ministry for Foreign Affairs of Finland, Visit Finland and various enterprises. All of Santa’s Helpers attend wide-ranging training from language studies to child psychology and the Christmas traditions of different nations. The first Santa Claus helpers were trained in Lapland University’s Santa Claus Academy back in 1997 and the training is still organised on an annual basis. Official Santa Claus of Finland always carries Christmas values close to his heart: authenticity, surprise, caring, and sharing goodwill. We have a tradition whereby each time we have a corporate event, we also do a charity visit together with the customer. In fact, we ask our customers to think of a venue for doing a charity visit. We never charge our customers for doing these charity visits. How do you recognise the Official Santa Claus of Finland? Official Santa Claus of Finland is a true expert of Christmas. He knows Christmas traditions of different cultures, has studied child psychology and speaks many different languages. The character of the Official Santa Claus has been precisely specified, so you can already recognise him by the length of his beard. One way to tell if you are dealing with the Official Santa Claus of Finland is to look at his hat. Unlike the less showy headpiece of his colleagues, his hat has a long conical part decorated with a large red tuft at the end. Notice length, curliness and the silver-grey shade. Santa’s hair is exactly the same shade of silver-grey as his beard and moustache. Santa’s round wire-frame glasses are his trademark. In Santa’s youth artificial fibres were yet to be discovered. That is one of the reasons why he has chosen linen as the material of his shirt. Voluminous puff sleeves give the shirt a touch of poise. Santa’s red waistcoat highlights his magnificent beard beautifully. Notice the embroidery around the arm holes. Santa’s jodhpurs are also made of natural materials. Their forest green color balances out the red and white of Santa’s attire. The loose fit goes well with Santa’s friendly and grand personality. Santa’s choice of footwear is traditional Lappish boots made of leather.